I know I've been sprinkling a little bling around. However, that's not the focus in our home at Christmas. Last year I had Jesus, Mary, and Joseph displayed on a desk. and knew what I wanted to do. Out went the pillows. 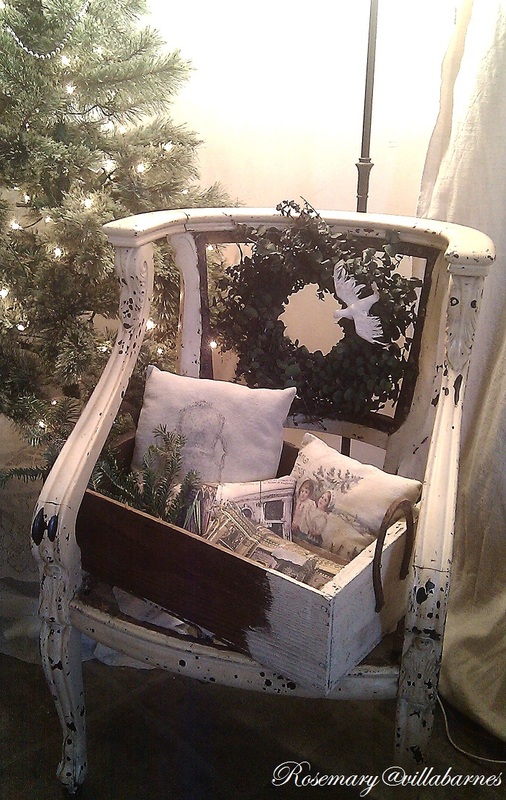 I added straw, and placed one of my "First Noel" fabric pieces as a backdrop. No bling here. Just a peaceful setting. Hi Rosemary! I love what you did in the rustic box, Jesus was born in pretty rustic sorroundings anyway, but now he's comfy in your pretty and warm home. Happy holidays pretty lady, for you and your lovely family.. or men, is it, if I'm not wrong?! This is so beautiful, and you are so creative. I know I don't leave many comments, but I had to when I saw this. 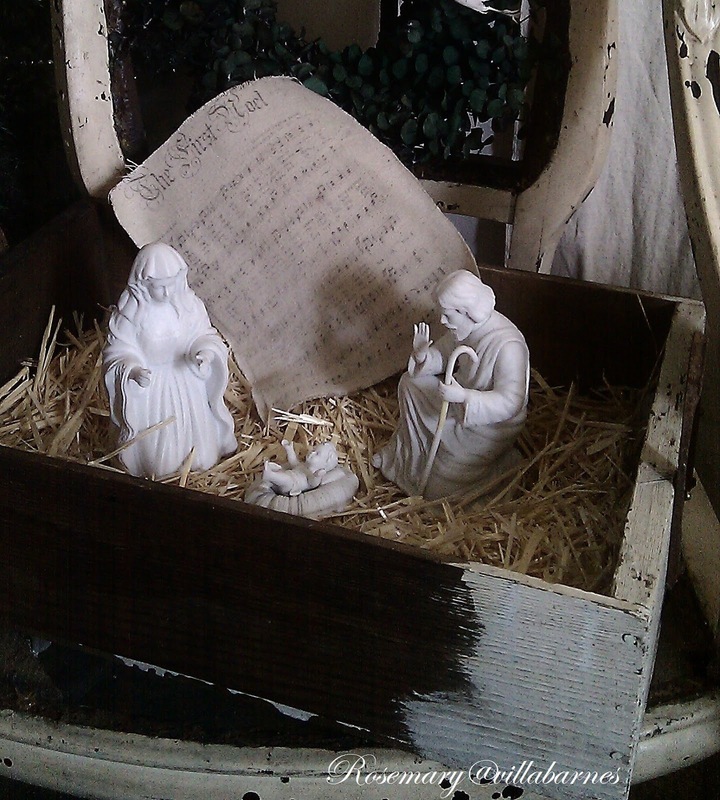 Love this beautiful Nativity you created! So very peaceful and a reminder of the reason for the season. Merry Christmas! It's just wonderful. He entered out world just this way. Perfectly imperfect. Love that! It's like a custom made country nativity. It is perfect. So pretty, Rosemary...very creative! It looks wonderful! So beautiful and yes, peaceful! Perfectly rustic and serene. Beautiful, capturing the real spirit of the season. 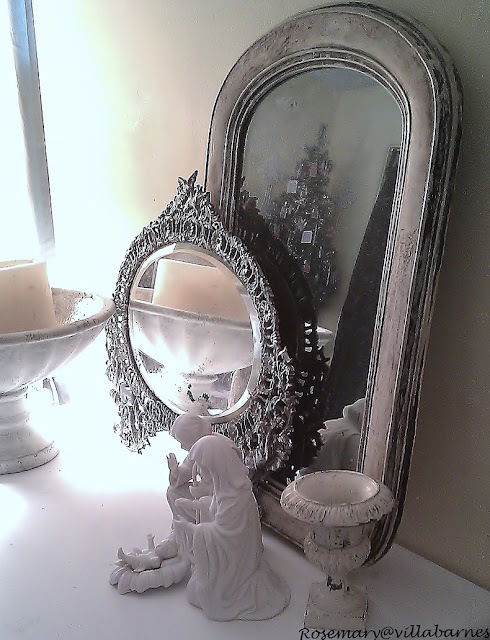 Your nativity scene is beautiful! 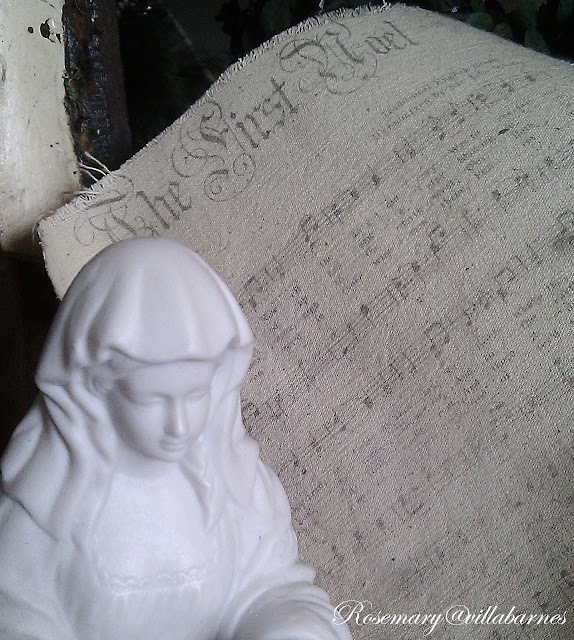 Very pretty Rosemary and I love that it so beautifully represents the simplicity of the reason for the season. Well done! What a great idea, Rosemary! It's just beautiful! Beautiful. Left a lump in my throat. I love this! It's so beautiful. The bling can definitely distract from why we celebrate Christmas. 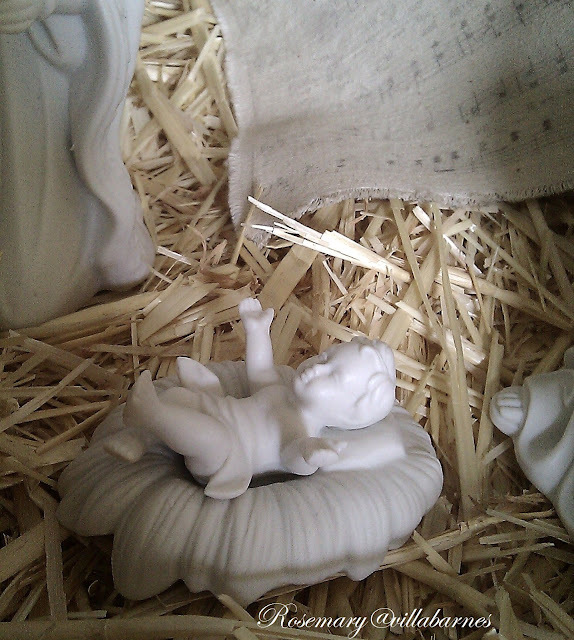 What sweet way to bring your family's focus to the baby Jesus. A sincere and heartfelt tribute to the true meaning of this season.